The Eames DAR Chair was originally designed in 1950 design by husband and wife team Charles and Ray Eames. Its moulded plastic seat and arms which rests on chrome legs became an iconic mid-century style which was created in an array of colours. 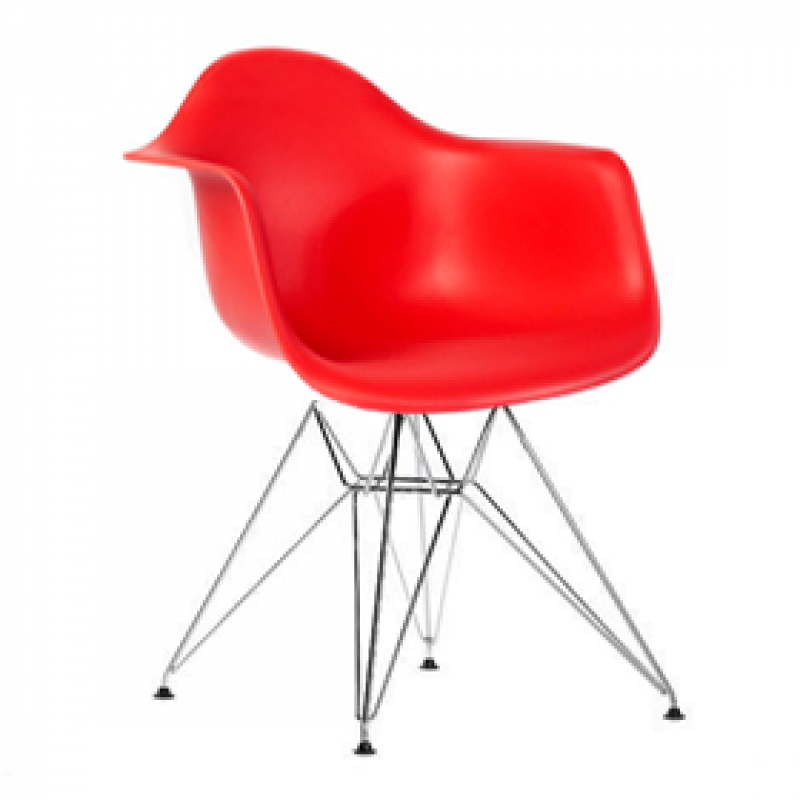 Our red Eames chair is an exact replica of the 60 year old design. With its curved polypropylene seat, curved arms and intricate metal legs we believe this is one of our most versatile seating options. Perfect for banquets, conferences and exhibitions – they can be mix and matched to suit your theme creating an unlimited amount of colour combinations. Pair with our funky dining chairs or coffee tables to complete the look.